Give your business the all-around protection it deserves with Beckwith Electronic Engineering’s Full Service Maintenance Agreement. It protects more than just your equipment. We care for your company‘s productivity, performance, and profits. By investing in a Maintenance Agreement, you'll always be protected from the adverse effects of unexpected downtime. 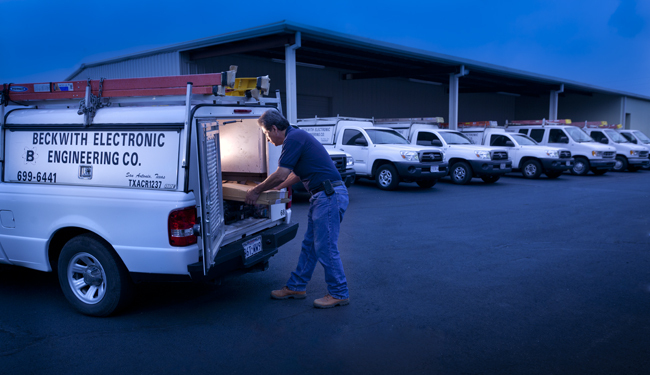 By combining our industry expertise and licensed service professionals, we’re able to provide you with the perfect solution. No worries. Not now. Not ever. We will cover unlimited parts, labor, and travel expenses associated with repairs for the duration of the Agreement. Without protection, the cost to replace one key component could easily exceed one year of complete coverage. There are several choices available to provide customized response times and additional levels of support based on your unique requirements. Call us today for a quote and let us ensure you and your business are provided peace of mind.